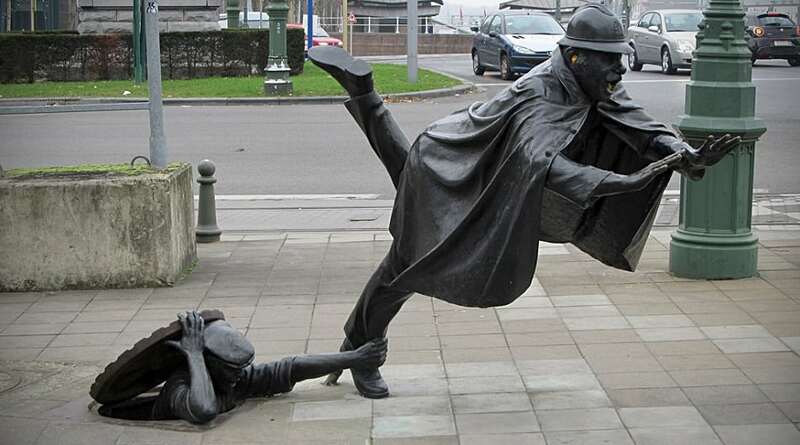 “De Vaartkapoen” by Belgian artist Tom Frantzen is a humorous statue of a policeman being tripped by a man hiding under a sewer cover. Created in 1985, the statue is located in Sint-Jans-Molenbeek, Belgium. Famous Stars Who Are Impossible To Work With!